The Labor Day weekend has arrived. Do you know what your family wants to do? You've got three days to fulfill wishes and rank up those points. Even better do it just because. Having family fun always comes with a rewarding payoff. 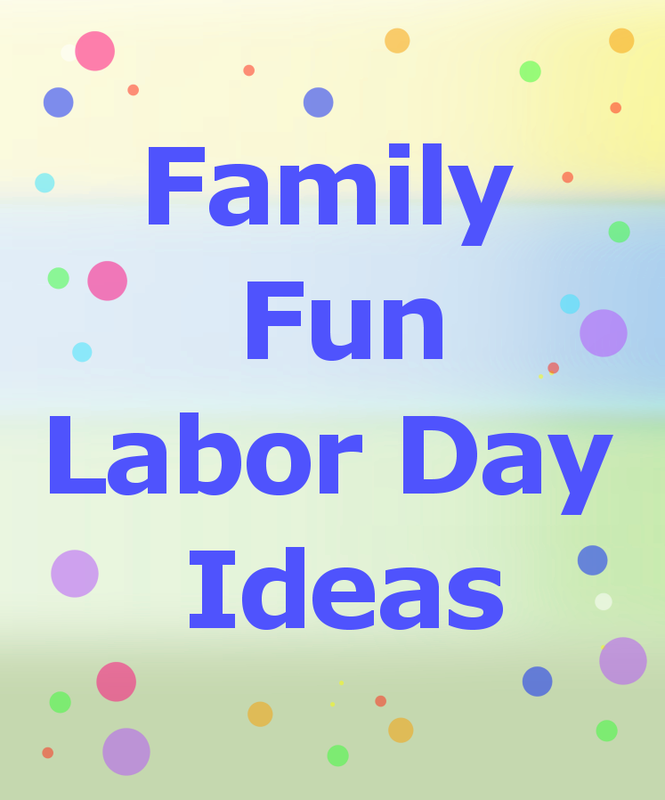 If your family reunion is scheduled on labor day or you're spending it with the immediate family here are a few ideas to make for a family fun weekend. 1. Get your video camera out and make a family fun day documentary of all the adventurous, intriguing and downright silly antics of the weekend. 2. Get your taste buds ready for a food and culture fest and visit the nearest Labor Day food festival. 3. Head for the hills. Grab your gear and take a hike at your local state park. Boat, fish, look for specimens and bird watch. 4. This is a great time to talk about your family history in relationship to the varied jobs family members performed over the past 200 years to make ends meet. From nursing to nanny, door to door sales to office management, everything in between and beyond. 5. Already had your family reunion this summer? Get the family together. Look over photos and put together a fun family reunion slideshow or newsletter. Think you know your family members well? You might be surprised. Everyone has hidden interests and talents. Get to know your extended family members interests before planning the weekend using Fimark's Family Reunion Planner Social. It includes a database that's already loaded with demographic information like interests in sports, movies, books and music. 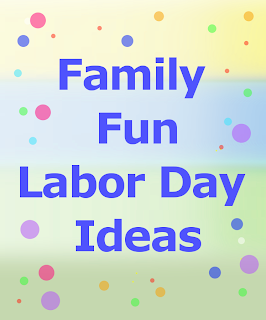 A great resource for making your labor day weekend a special one. If you're not entertaining Sunday or Monday it's a great time to start planning your next family reunion. So take time to be inspired. Take a look closer look at Fimark's Family Reunion Planner Social. You'll find a great Newsletter template in Fimark's Family Reunion Planner Social package. Try out family recipes, family reunion crafts and new ways to take family reunion surveys online. Download fliers, prewritten dinner programs and theme related itineraries. Select from 6 beautiful printable family reunion poems. Checkout the colorful family reunion t-shirt ensembles. The interface provides access to all our standard event planning templates, printables, worksheets, ebook and reunion planning spreadsheet. What, don't have FRP Social yet? Good news The app is reduced from $49 to only $40 for a limited time. Go to http://family-reunion-planner.fimark.net and get started on your family reunion newsletter, slideshow and event planning. Every so often the true nature of family reunion planners are tested. The purity of our honesty, loyalty and love. At other times our skills and competency are tested. For example, just how well are we keeping up with this ever changing world of advanced technology? Little did I know that my time of testing had arrived. In a matter of days the truth shall be revealed. I have a Yamaha keyboard plugged into my Dell laptop, both nicely situated near a window that looks out onto a spacious well manicured lawn and a tall, shady widespread maple tree. One of my favorite past times is to write family musicals and compose music for upcoming family reunions while enjoying the view out my window. So I'm returning to my keyboard to compose a musical score for a family reunion music video I'm working on and I plug the audio line into my laptop line-in. Aargh! What's this? No sound comes out of my headphones -and no wonder. The plug input is broken. Not Good. The whole point of having the headphone input is to test the sound quality of a completed composition while using headphones. The other dilemma is that I would have to forfeit composing music in the afternoon or late nights while Brenda lay sleeping. I say again, not good! There has to be a quick solution other than moving all the files to another laptop. 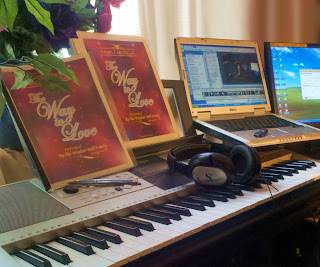 While I do backup my hard-drive from time to time, all my recent movie and music composition files are on the hard-drive of this laptop and quite frankly I favor using it over the computer devices I have. The time of test has arrived. Just how technologically savvy am I? One thing I do find reassuring is that I can actually use the words "technologically savvy." The other is this... The smart phones we ordered weeks ago have finally arrived in the mail. Did you know that using the word lookup feature on your smart phone can help raise your IQ exponentially? It was time to compare smart phone accessory prices at my most favorite online shopping mall amazon.com. I noticed that I could save over 30 dollars making my purchase online instead of at the local store. I theorize that their must be a USB line-in device that could replace the broken line-in module. It's time to test this theory using a real time model. But time is wasting. I must move expeditiously. I perform a search using amazons search feature and a few well thought out keywords to locate such a device. To my delight I find a cheaply priced USB audio sound card device. Score! According to the description I should be able to plug the device into my USB port. It's plug and play feature loads the sound card driver onto my device. I then should be able to plug my headphones into it and boom. I have functioning audio sound. Perfect! In theory this should do the job. If it does I'm back in business. I place the USB audio device in my shopping cart to see if it will qualify for free shipping. A message appears. In order to take advantage of free shipping I would have to buy another item. Since my headphones were well used I decided to upgrade them with a brand new set I was eyeing at Amazon.com. To my delight the free shipping feature kicked in. So not only did I save money purchasing my smart phone accessories online, I was also able to order two additional items while staying within the phone accessories budget. Score! In just three days my package arrived in the mail. Carefully removing the USB audio card from the package I read the instructions and plugged it in. But nothing happened. Was I doing something wrong? I read the instructions again. All the steps were followed, nothing seemed to be missing. Is it a faulty device, was I handling poorly written instructions or... could it be me. Have I reached my limit of comprehending the complexities of today's advanced instructions manuals? Considering the fact that the manual consisted of about 50 words I think the latter is highly unlikely. Suddenly the catecholamines of my brain feels fully charged. The dendrites are energized and bolstered as synaptic bridges form and snap into place connecting streams of raw data packs one to the other gradually revealing the true intellectual capacity of the family reunion planners mind. I hypothesize: Perhaps the new sound card driver is conflicting with the other audio driver and thus not initiating. If I take the USB device out of the port, reboot the system and then insert it back in again it should work... I test this hypothetical proposition and suddenly to my delight a blue light emits from the device. I plug in the headphones and whalla we have sound. Beautiful quality sound at that. Yet another score! So how do Family Reunion Planners measure up to todays technology use? Take the Family Reunion Planners Competency Test. 1. Do you engage in practical smartphone usage? 2. Do you use social enabled devices to communicate with family? 3. Do you save money and time making purchases online? 4. 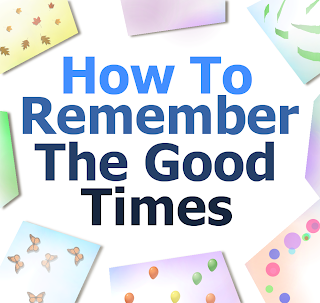 Do you use apps and or ebook to plan your family reunion event? 5. Do you take advantage of free shipping when you do? 6. Do you find the event planning process both exhilarating and rewarding? Yes, family reunion planners are highly intelligent creatures to be greatly esteemed and loved. Labor Day is an ideal day for a family reunion. Put your event planning and computer skills to the test. Plan your family reunion today. 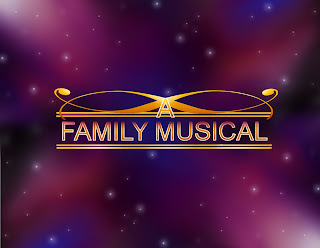 In the weeks ahead I will be featuring sound bites from each composition to be accessed from Fimark's Family Reunion Planner Social interface. The music can be used as background music with the free slideshow app featured on the interface or with your own preferred music video software. For more ideas to get your family reunion off the ground consult Fimark's award winning Family Reunion Planner Social web app for use with the latest Chrome, Internet Explorer or Firefox browser. What, don't have FRP Social yet? Good news. The interface provides access to all our standard event planning templates, printables, worksheets and the reunion planning spreadsheet. The app is reduced from $49 to only $40 for a limited time. Go to http://family-reunion-planner.fimark.net and get started on your family reunion newsletter, slideshow and event planning. It seems that only when I meet an old friend am I reminded of something good we accomplished working together. Things we did just because, or as a result of seeing a need. Too often kind acts are forgotten despite the rewards it has given to the receiver. In most cases that's the way it should be. But there is much to be learned and affirmed when we look back and see what good has been accomplished by our hard work. 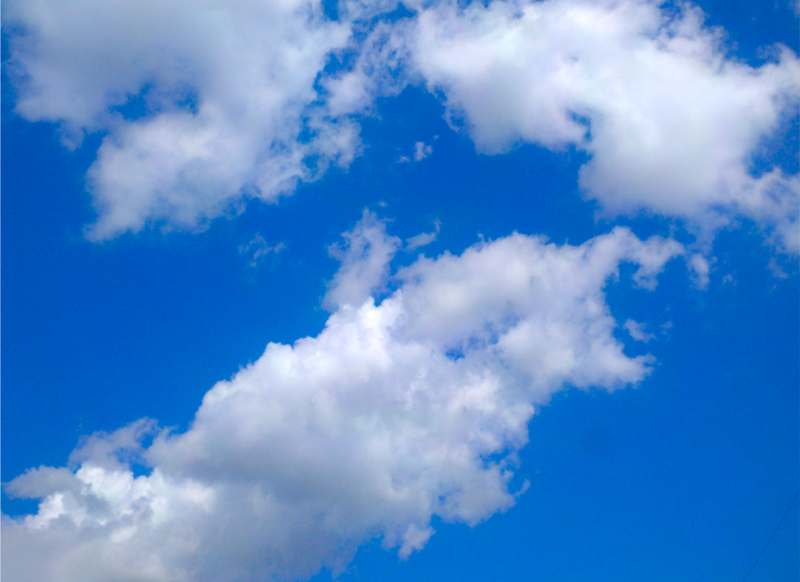 How often do we take the time to remember what we've accomplished in recent months? I'm reminded of a wise proverb. "Nothing is better than that one should eat and drink and see good for his hard work." Brenda and I spend considerable time doing the kind of work that is purely results oriented. Last weekend for example, was the busiest weekend of the year for us. We shared in organizing recruits to fill departments for an annual district convention focused on family values. Assignments were a plenty. I would serve as Symposium speaker Friday morning. The talk entitled "Being Raised in the Truth" was presented after months of revisions and rehearsals. It went well. I also assisted with oversight of convention security Friday through Sunday afternoon. By Sunday afternoon the program concluded. Then it was time to help with convention breakdown. Many friends remained long after the program concluded as this was the final convention scheduled this year. The atmosphere was exhilarating as young and old helped pick up, fold and stack over 1000 chairs. The other 5000 chairs were stationary. The volunteers quickly but quietly completed the task in less then an hour. Everyone looked around for more to do while making new friends and greeting acquaintances they hadn't seen in years. I saw groups of long time friends quickly forming as the evening transformed into something of a family reunion as conversations became reminiscent of days gone by. By 8pm it was time to say goodbye. Long whispered bitter-sweet conversations ended with hugs and kisses as faint farewells filled the auditorium and small groups began to dissipate as old friends reluctantly parted. Sitting in the stands watching it all Brenda and I were greeted by a long time friend we hadn't seen in several years. Later that evening we met a couple we assumed were middle aged newlyweds as they held hands at every opportunity. After getting to know them we found out they were married over 16 years. To top it all off they are best friends with members of our family. It's a small world after all. After lock-down we bid our new found friends farewell and headed down the highway toward our hotel. We grabbed a pizza from the local strip mall and got back to our room by 9pm. Our eyes heavy from four long days of convention work we could have easily gone straight to bed. But this would be our last night in a hotel room for a while, so we decided to stay up an hour or so, talk and eat our late night meal. By 11pm we could not keep our eyes open a minute longer. Off to slumber land we went. The next day we took time to remember what we learned during the convention program. We reminded ourselves of our privilege to be a source of support and encouragement to the next generation of single and young families and considered how we would go about doing just that. One way would be through letter writing. It will be a time to share common challenges we all face in life and the best way to resolve or at the very least endure using wisdom of the ages. Each letter will be a time to remember what got us through it all and pass it on. If you celebrated your family reunion It's a time to remember this summers family reunion events and document it in some way. Use the Newsletter template and Slide show app that comes in Fimark's award winning Family Reunion Planner Social web app for use with the latest Chrome, Internet Explorer or Firefox browser. The interface provides access to all our standard event planning templates, printables, worksheets in pdf and word format and ebook as well as the reunion planning spreadsheet with attendee database. What, don't have FRP Social yet? Good news. The app is reduced from $49 to only $40 for a limited time. Go to http://family-reunion-planner.fimark.net and get started on your family reunion fundraiser, newsletter, slideshow and event planning. It's Back To School Month. 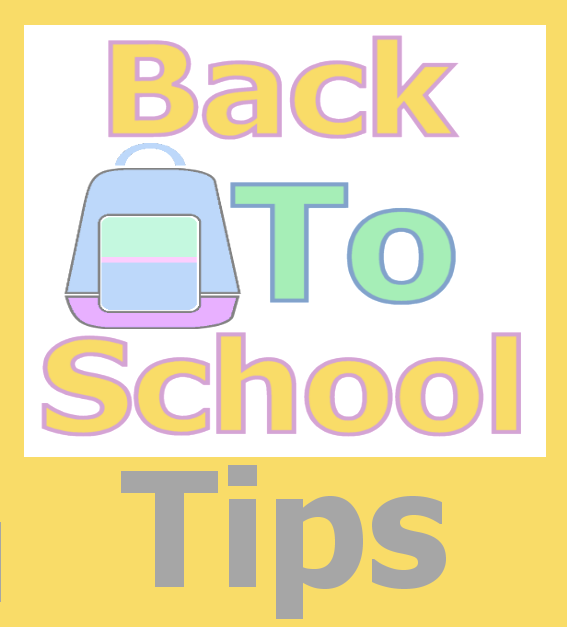 August is back to school month. That means soon summer vacation will be coming to an end. Families with school-age children are expected to spend around $634.78 on such things as apparel, shoes, supplies and electronics in 2013, down from $688.62 during the season last year. Jill Soltau, Shopko president and chief merchandising officer says, "Parents who wait until right before school starts can face a very limited selection and even find that some items will be sold out." That said, waiting until the official school supply list is provided by the teacher may mean settling for what prices are available at local stores. This can be a downer for families who are dependant on price reductions during back to school sales season happening right now. I'm looking at the "Invitee Interest List" on Fimark's Family Reunion Planner Social web application and I can easily see what schools my teen and college age nephews and nieces are attending this year as well as their part-time employers and job descriptions. From there I can write a more compatible list of school, office supplies, clothing and gear they will likely need this year. Prepare a budget and shopping list. Start your shopping early in the month, early in the week and early and the day. ♦ Shoes — 2 pairs. ♦ Boots — 1 pair. ♦ Hats, gloves, and scarves. 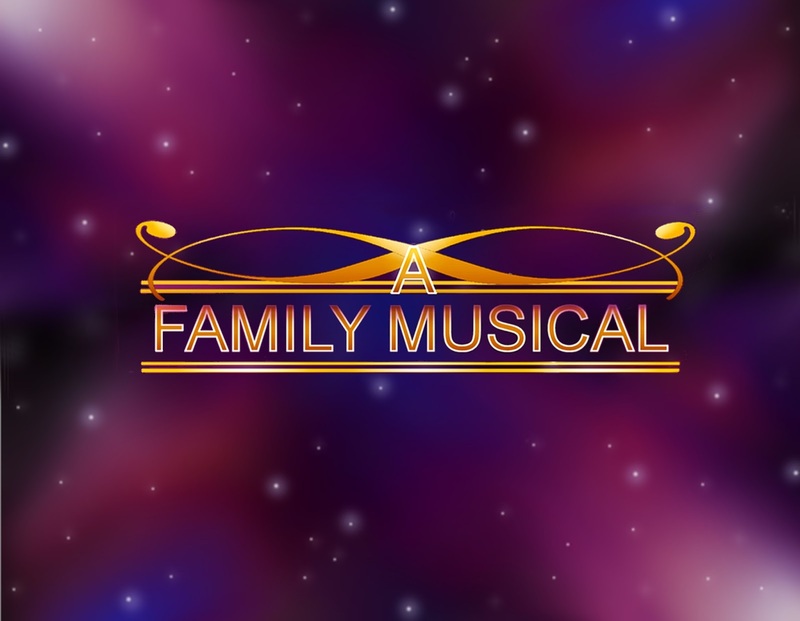 Fimark's award winning Family Reunion Planner Social web app for use in your Chrome browser. What, don't have FRP Social yet? Good news. The app is reduced from $49 to only $40 for a limited time. Go to http://family-reunion-planner.fimark.net and get started on your family reunion event planning.